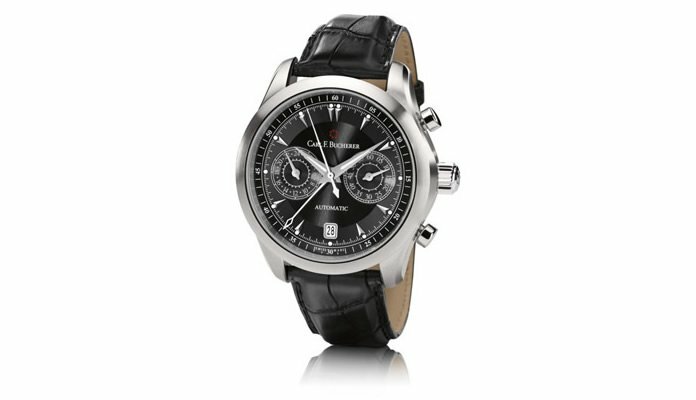 The Manero CentralChrono by Carl F. Bucherer features a unique design, Classic feel with a modern touch. The engineering design allows full view of the complication at a glance. 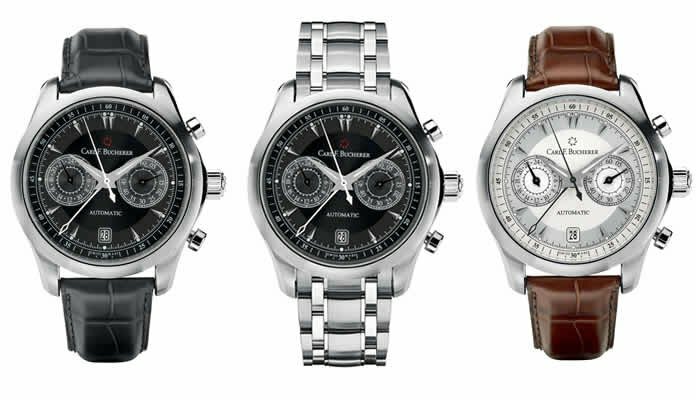 The Manero CentralChrono comes in a stainless steel case that measures 42.5mm and 14.24mm in thickness. Powered by the CFB 1967 automatic caliber. Two smooth stainless steel pushers are located at the 2 and 4 o’clock position. 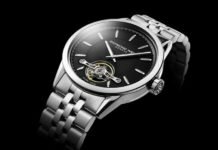 High contrasting black and silver design shows off it’s two-tone black dial, ten wedge-shaped hour index marks and Superluminova coated hours/minutes hands. A small seconds indication is found at 3 o’clock, 24 hour indication at the 9 o’clock along with a date indication at the 6 o’clock position of the Manero CentralChrono. The automatic CFB Caliber 1967 features 47 jewels with a power reserve of 40-44 hours. Protecting the face of the dial is a convex sapphire crystal with anti-reflective coating on both sides and sapphire crystal on case back provides a mesmerizing view. Water-resistant to 3atm or 30 meters. 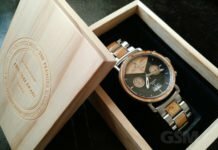 This elegant men’s automatic comes with a beautiful genuine black or brown Louisiana alligator skin stainless steel pin lock clasp that pairs beautifully with the dial and case, black and stainless. 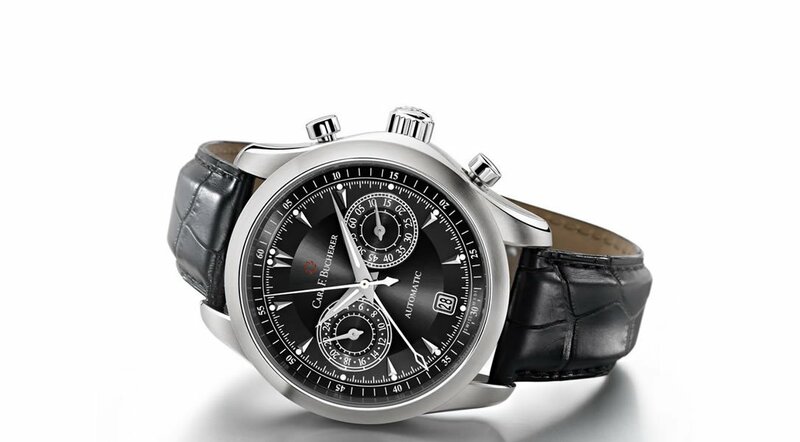 Carl F. Bucherer Manero CentralChrono features complexity, elegance, functionality and a unique balanced design without an absence of masculinity.